But maybe these people are two longtime lovers wearing smiles just as bright as the ones worn on the day they first met. They are experiencing a new city. Taking in a new journey together. There are a pair of lovers in Solo: A Star Wars Story. They smile when they see each other after a long time apart. They experience a new planet or two. They take a new journey, together. But there’s nothing in their expressions or in their characters that broach even an imitation of real-life emotion. Perhaps these two are strangers at the same hotel. They are meeting for the first time that night, but they immediately strike up a rapport. They come from similar backgrounds, although they arrived at their present situation through different means. They express themselves with a similar wit and panache. Thus, they bond accordingly. 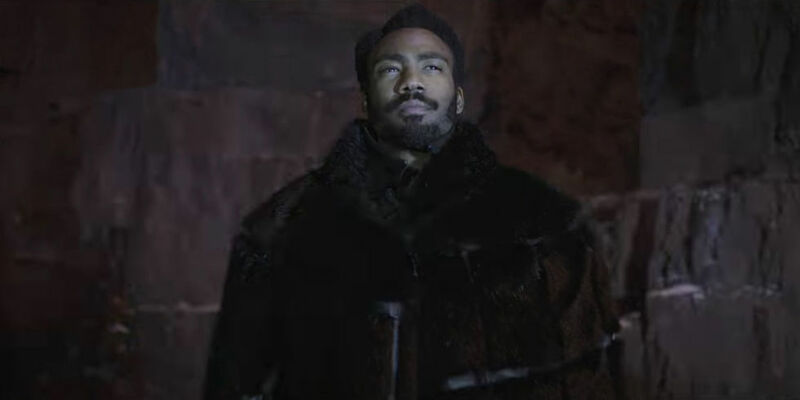 In Solo: A Star Wars Story, there are strangers meeting for the first time. They strike up a rapport. They come from similar backgrounds, although they arrived at their present situation through different means. They exude wit and panache. They bond accordingly, but most of this bonding feels inorganic. And the relationships fast-forward to best friend territory right when the film needs them to. Is this a convoluted way of saying that Solo: A Star Wars Story is a corporatized template of a movie that only has a market shelf life because the molds they used for the template were of character models from a Star Wars film? Maybe. That is perhaps too cynical a way of putting it. Solo has got a heart under its black vest; that heart may have just been broken a few times over. It’s hard to say. The film could be a result of its tumultuous production. Or it could have started with a rocky foundation. 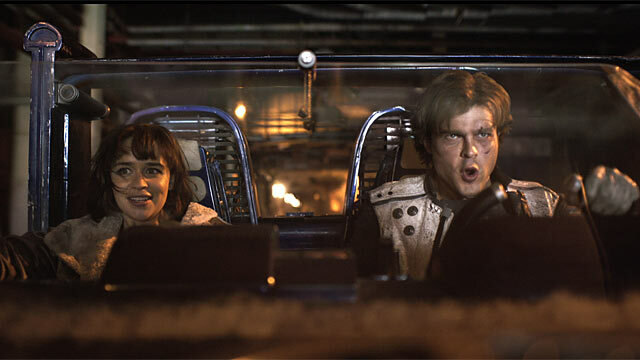 The film situates the soon-to-be roguish smuggler Han Solo (Alden Ehrenreich) on his home planet of Corellia, stealing a land speeder with the hopes of escaping slavers with his girlfriend Qi’ra (Emilia Clarke). In the end, he gets out. She does not. To evade capture, he quickly enlists in the Imperial Army. He vows that he will earn his way to a ship, so that he can return to Corellia and rescue Qi’ra. Cut to three years later, and he is boots on the ground as an Imperial infantry-man. He goes AWOL as soon as he meets a couple of smugglers disguised as an Imperial squadron. These smugglers seek out an explosive agent known as coaxium, and Han sees this as his way of paying his way back to his home town. Along the way, we meet characters that have some charm. 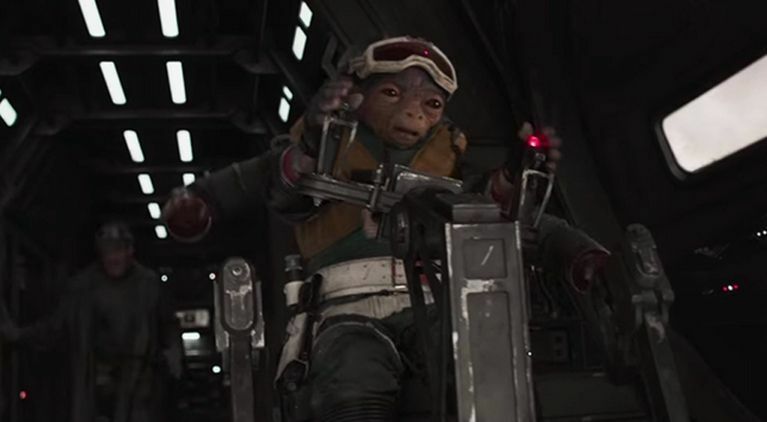 There’s the Jon Favreau-voiced, multi-armed alien Rio Durant. And boy is Donald Glover doing the most entertaining Billy Dee Williams impression. But I can’t tell if I enjoy Glover for his performance or because I can tell he’s playing the character. For Ehrenreich, eliminating Harrison Ford from my mind was the easiest way of entering into that performance. Putting the two in scenes together made it hard to compartmentalize the disparity between the performance styles. Either way, charm doesn’t make personality. Not on its own. There is some depth to Woody Harrelson’s ring-leader character, Beckett; an untold history that weathers him and explains his actions. And Lando Calrissian maintains the same tricky cowardice that we see in the original trilogy. Every other character acts without any regard to what their character may or may not stand for. Most egregious is Qi’ra, who by the end of the film is the most baffling character in the entire movie. She is introduced as the damsel in distress that motivates our hero. Later, she has a very anti-Bechdel test conversation with a droid about how she is the love interest of our hero. Then, she performs actions that defy that poorly-conceived character. What results is a character that makes little logical sense and is nothing more than a plot device. Even with characters like this, who feel like stand-ins or cookie cutters, Solo could have found some stable footing. Rogue One also featured a crew of characters with little in the way of characterization, and there were at least pleasant action scenes to look at and genuine stakes to be wary of. But with Solo, the plot is ultimately frustrating, and the overall technique is strangely limited. The plot is frustrating, because it could have been an original story. The seeds are planted for an origin story that has a trajectory removed from what we know from previous films. When the characters take on a train heist, we are seeing Han Solo in a new place. He’s always been a rogue and a thief, but he is out of his element in this larger smuggling life. Most everything past this point is a script that is picking one-off lines from previous films and using that as a basis for plot. It would perhaps feel less like fan service if the rest of the fan service wasn’t so…fan service-y. As for the technique. The first act is dimly lit. The climactic moments are flashing lights, gaudy explosions, and, in one instance, ugly computer effects. It’s far more headache-inducing than it is awe-inspiring. The whole thing feels clunky. The story jumps around erratically to different locales, none of which become realized as settings. The plot lends itself to fan service more often than it does to building a stand-alone tale. The script often falls back onto dialogue that is so on the nose as to induce groans and eye rolls. The characters reciting this dialogue are uninventive and uninteresting. To its credit, the film came together as a streamlined directorial vision in spite of Ron Howard coming in midway through production. One or two of the action set pieces are genuinely exciting to watch (again, that first train heist is very good). Composer John Powell has one music cue—it is a theme for a rival band of smugglers—that is exhilarating. As I see it, the purpose of a prequel is to add something to what it precedes. Solo: A Star Wars Story can be viewed as a hollow piece of science fiction entertainment. There is some entertainment value to be gleaned, to be sure. But the film does not add anything to the franchise that it exists within. It merely expounds on what has already been established. I’m not saying Solo has made me a prequel apologist. But the George Lucas prequels, as well as Rogue One, take the Star Wars universe and expand on it. The result there are films that feel big—like they exist in a large galaxy far, far away—but also contain the journeys of individual characters. Solo doesn’t have the sense of either. It has the sense of being a dispassionate and inessential part of this ongoing Star Wars machine.